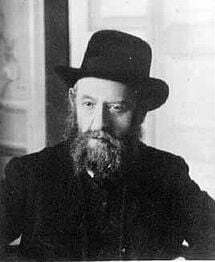 On the festival of Shavuot 1912 the fifth Rebbe of Chabad-Lubavitch, Rabbi Sholom DovBer Schneersohn, began an epic series of discourses that would become famed for its concise, detailed and original treatment of many of the fundamentals whose complex theological depths grace the Jewish mystical canon. Known in Chabad simply as “Ayin Beis” after the Hebrew letters that signify the year in which its recital began, for nearly a century this series of discourses has gathered a reputation as being something of an enigma, a closed book to all but the most advanced scholars of Chasidic thought. This is also one of the longest sequences in the vast corpus of Chabad Chasidic literature; for four successive years Rabbi Sholom DovBer delivered a discourse as often as once a week. Adding to the length of this series is its final portion, which was never delivered verbally, and exists only in transcript. The very words “Ayin Beis” have come to carry the allure of the unknown and the impenetrable. In the decades since its publication, its reputation for complex depth and its mystic significance has only increased. Indeed, the very words “Ayin Beis” have come to carry the allure of the unknown and the impenetrable. While its three volumes are a prominent feature of every Chabad library, few have had the resolve to take on the challenge it represents. Now, as the hundredth anniversary of the initial delivery of Ayin Beis approaches, history is being made. On a Monday morning in late November, Rabbi Yoel Kahan, widely regarded as today’s foremost scholar of Chabad Chasidus, delivered the first in a series of lectures that will highlight and elucidate the key themes of Ayin Beis and the most innovative concepts explicated by Rabbi Sholom DovBer therein. At eight o’clock in the morning, approximately sixty rabbinical students packed into the small study hall on the ground floor of 770 Eastern Pkwy, the Brooklyn headquarters of the Chabad movement. Rabbi Yoel Kahn, a scholar who’s deeply lined face and grey beard attest to his eighty years, was surrounded by his students, all in their early to mid-twenties. Despite the disparity in age, there is an amazing sense of ease, tempered by respectful attentiveness and alert intelligence. Recording equipment, including a cordless microphone, clashes with the antiquated décor: colored window panes and roughhewn wooden furniture, are bathed in the light of a bright chandelier. One of the primary subjects of the lecture was the Kabbalistic concept of ohrot and keilim. In the second section of Tanya, Shar Ha-yichud Ve-ha’emunah, Rabbi Shneur Zalman of Liadi interprets the biblical statement, “the Lord, He is God in heaven above and upon the earth below, there is none else”4 as negating not only the existence of another deity, but the existence of any other reality whatsoever. In Shar Ha-Yichud Ve’ha’emunah he seeks to provide a philosophical framework that will allow the rational mind to square that statement with our experience of a multiplicity of distinct realities. If physical reality is non-reality, then the act of placing physical tefillin on a physical head... may be misconstrued as a meaningless non-event. We are apparently forced to conclude that the divergent forms experienced in the created realm are essentially a fallacy, only made real by our subjective experience. Rabbi Kahn, who often highlights the more practical theological implications of such mystical doctrines, presented this as a problem that touches on the very validity of mitzvot, the divinely mandated Commandments of the Torah. If physical reality is non-reality, then the act of placing physical tefillin on a physical head, or affixing a physical mezuzah, comprised of parchment and ink, on a physical door frame, may be misconstrued as a meaningless non-event. Rabbi Kahan highlighted another illustration, which is used in Ayin Beis6 to further explicate the concept: Intellect as manifest within the human brain (i.e. the cognitive experience), even when utilized to comprehend limited aspects of physical reality, nevertheless retains the essentially formless quality of abstract intellect (i.e. it remains a cognitive experience), only that the abstract quality is now revealed (or applied) in a specific medium. The specific form of that medium in no way constricts or inhibits the essential quality of intellect; on the contrary, the intellect may be fully exercised whatever the medium. Similarly, the created realm, complete with its multiplicity of forms, which apparently conceals the manifestation of the singular simplicity of divinity, is actually itself a mode of divine revelation. G‑d can choose to be manifest even in a form that obscures the apparency of divine existence... secrecy is more open than disclosure. Having cast the concealed disclosure of divinity embodied in physical reality as a fuller expression of G‑d’s non-contingent being, the divergent forms experienced in the created realm are understood to be, not a fallacy or misrepresentation, but a disclosure of G‑d’s ultimate reality. In the performance of a Mitzvah, the physical and spiritual realities coincide, and the very boundaries that define the physical as physical and the spiritual as spiritual are transcended. The performance of Mitzvot involves the specific use of physical objects because it is specifically in the physical realm that the ultimate non-contingency and ineffability of the divine essence is best affirmed. See Hosafot to Besha’ah She’hikdimu 5672 Vol. 3, 11-12, sub-note to note 10. See Rabbi Moshe Cordovero (RaMaK), Pardas Rimonim, 4:4. See also Shar Ha-yichud Ve-ha’emunah Im Shiurei Rabbi Yoel Kahn (Torat Chabad Le’bnei Ha-yeshivot: Israel 2011), p. 138-9, 155-8, and sources cited therein. As an aside, this volume was published just a few weeks ago, and represents an exciting new exposition and commentary of one of the seminal of Chabad texts. I have just discovered that the publishers have made the volume available on their website as a PDF, available here. See Besha’ah She’hikdimu 5672 Vol. 1, p. 4 and 10. For a related discussion see Open Secret by Elliot Wolfson, pages 99-103.